It probably seems like I dropped off the side of the world as its been a long time since I’ve posted here. The good news is I’m still here and kicking! This spring has been very busy! My son was in soccer and I was the assistant coach. That with my daughter in Softball has kept me busy. This paired with my starting of Adult/Gero Nurse Practitioner program has been very, very, very busy. So, have I mentioned, I’ve had a busy start to summer? This book was written by a Swedish-American and illustrated by a Swedish woman who lives in both Brooklyn and Sweden. The book discusses the coffee culture in Sweden. It addresses both coffee at home and going out for coffee. The book also provides several recipes for snacks and treats that typically goes along with coffee. The book is filled with hand drawn images. I was very excited to receive this book to review! I am a coffee lover and enjoy reading about coffee traditions and traditional snacks. The book is filled with wonderful illustrations that set it apart from a traditional cookbook. My book is so beautifully done my 6 year-old daughter wanted to claim the book for herself. The book is filled with snip-its on Swedish culture, specifically to that of coffee drinking. However, one could glean further insight to the overall culture from the information shared. 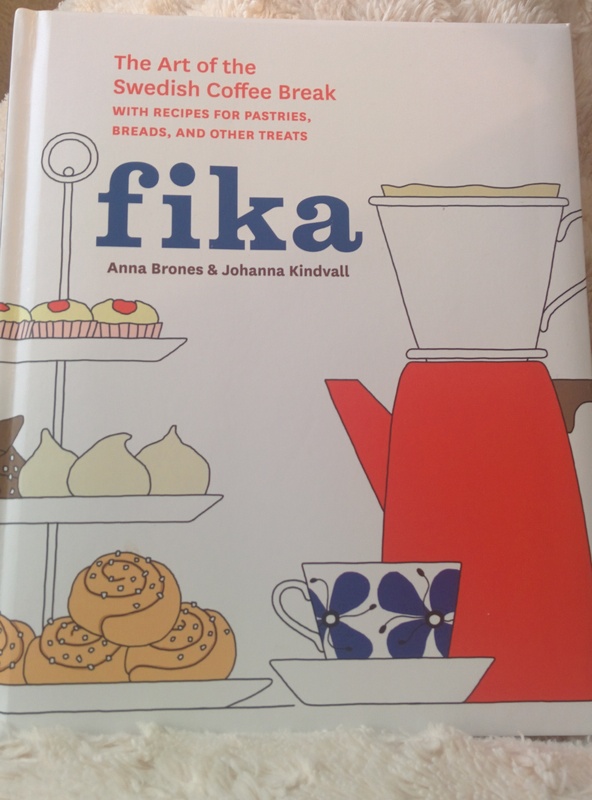 Overall I enjoyed the book and would recommend it to anyone interested in Swedish traditions and culture, anyone interested in coffee or baking. I did receive this book for free in exchange for an honest review as part of the blogging for books program.